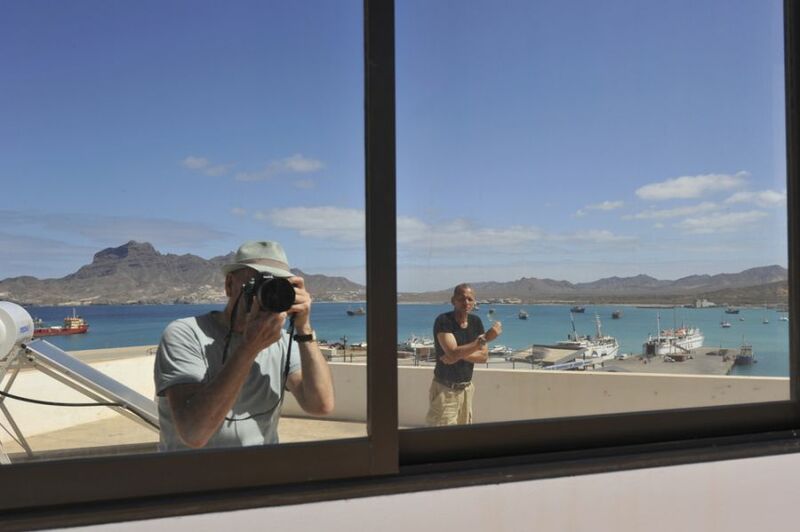 The author visiting Pulu, D44AC, - right - in Mindelo. His radio room has reflective windows to keep the temperature inside down.View from his terrace is impressive, Porto Grande, Monte Cara, ships and boats. This is not a story about contesting. I do like contests, and in my opinion every Amateur Radio operator should participate in a contest at least a few times in his/her lifetime. Simply because it is a practical lesson of efficiency, consciousness, skills and respect for other users of the radio spectrum. On the other hand, there are absolutely too many ”contests” in general.This story is about my visit to a small island called Sao Vicente, some 500 km west of Senegal in Africa. I stayed there for 8 weeks between February 2014 and April 2014, and made many contest contacts – just for kicks. This was not a DXpedition, let’s make it clear.I have never been on a DXpedition and would never go, even if I had the necessary funds.I like travelling and sometimes I bring a small radio with me. Usually there is not so much to do for me in the evenings and I often get up early – the best things radiowise happen at these crepuscular periods of the day. In January 2014 the mean temperature in Europe was falling down, some sources predicted very cold months ahead, others claimed it would be mild.I called the office of telecommunications in Praia, Cape Verde Islands and asked if my Amateur Radio permit could be renewed. I had visited Cape Verde in 2000 and 2001 and was on the air as D44CF for a few weeks each time. An affirmative answer came from Praia, the capital city, and the next day I booked an air ticket to Sгo Vicente via Lisbon. The flight from Lisbon to San Pedro airport takes less than 4 hours. 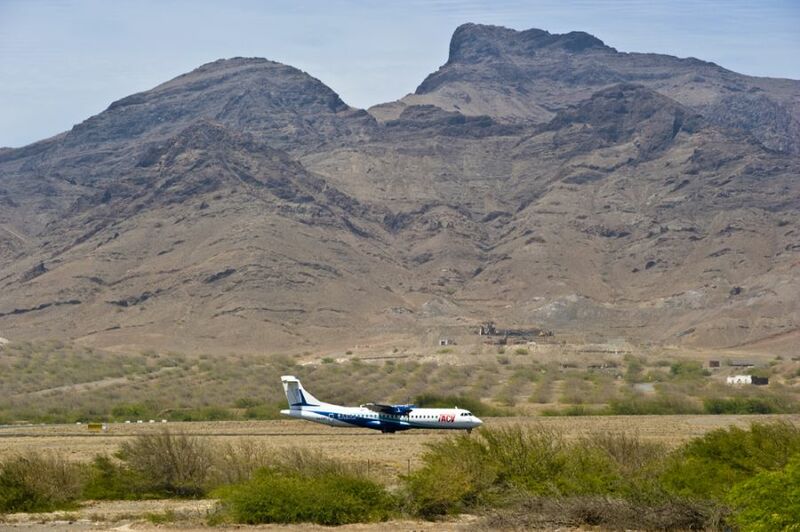 San Pedro airport in Sao Vicente, local airline TACV flies small prop-jet aircraft between the islands. More than ten years ago, the 73 Magazine published a series of my reports they called DXpeditioning on a shoestring, about some of my Amateur Radio related travels. 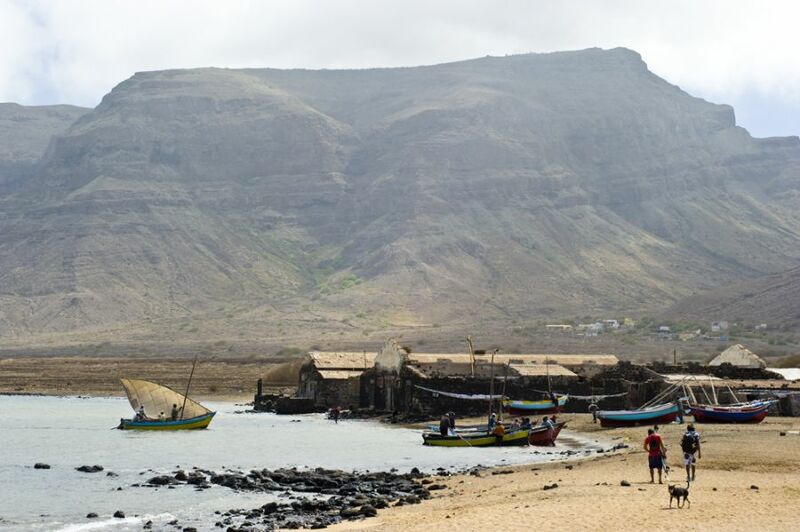 I always travel on low budget, this journey to Cape Verde was no exception. Incidently, the owner of 73 Magazine closed down in 2003 without paying me the agreed modest author’s fee. One more crook on my list, he is SK now. When I came to Mindelo I put up, for a few days, at a lodging house that the Italian members of the D4C group had suggested. Next day I walked past Cafe Lisboa in the very middle of Mindelo, and there I met Pulu, D44AC. 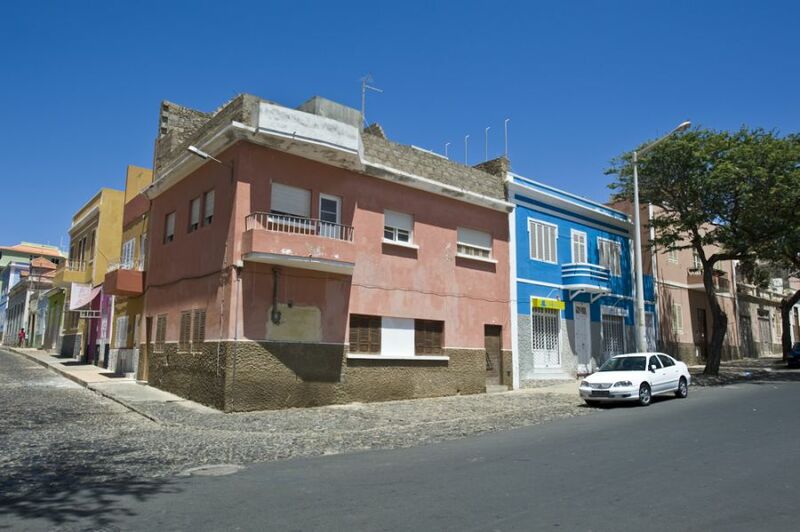 Cafe Lisboa is a hole in the wall, but it is the formal meeting point of Mindelo. Pulu helped me to find an appartment with open view in the western outskirt of town.The renewed licence arrived on the same day I moved in. The next day I was amazed by the response I got in the ARRL DX Competition CW using some 80 Watts and a wire supported by a fishing rod on the balcony. The propagation on 28 MHz was simply unbelievable.If ten is so good, I better check six as well. 50 MHz opened in the evenings and sometimes in the middle of the night.The most memorable contacts on 6 meters were with FK8CP around midnight UTC.After a week I knew what to expect from the ionosphere over the Atlantic Ocean. Middle of the day – almost no activity on any band.The sunset and sunrise times were most satisfying. Using simple antenna and low power is a lesson of respect for the so called propagation, teaching one to be humble towards the Sun and the elements in general.The phrase ”carpe diem” – seize the day, I have modified to ”carpe CONDX”. Sometimes the opening lasts a few minutes, sometime hours. It is however annoying when some people with well-equipped stations can’t control themselves and call a DX station every time the signals are strong.I recall one W7 who called me at least 12 times. I think they are called ”DX piggies”, depriving low-power stations a chance to get through. Generally, the discipline and the ethics of too many present-day operators are unacceptably low. One reason is the uncritical use of computers: gathering information from the web, sending and receiving the code, klicking instead of listening and thinking.I made a black list of some offenders and found out that many of them display expensive equipment and large antennas on qrz.com. Some people still think that the more money you spend, the better results you get.You can’t buy skills and brains. I mentioned qrz.com on purpose. It is the most reliable source of information, while there are several websites with obsolete, wrong and incorrect data. It is no longer bliss to be on the other end of a pile-up. 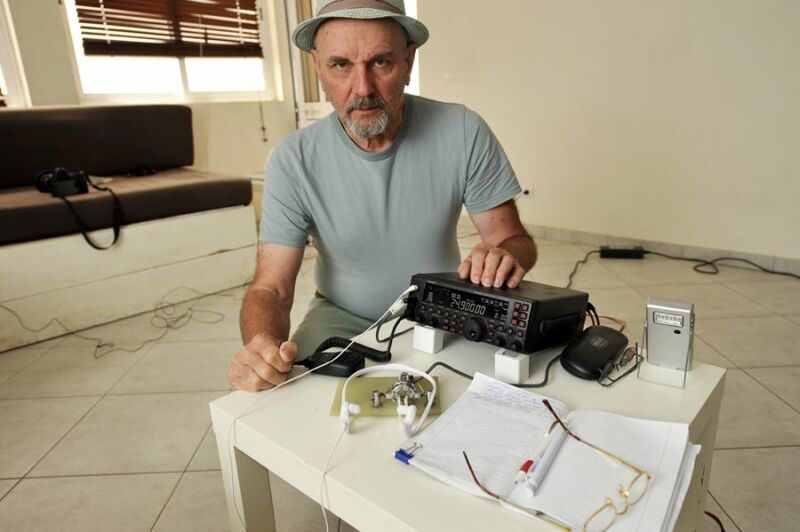 The author with his modest equipment .The small power supply on the floor limited the output power to 80 Watts. The microphone UP-DOWN buttons were used to release CW messages. The transceiver was placed as far as possible from the wire antenna. I do not use a computer on my trips for several reasons.My activities are only occasional, I do not have the suitable software and interface, computers suitable for logging are too bulky (I need full size keyboard and large screen for comfort).The main reason is though that I do not want to depend on computers – they crash easily, they are vulnerable and no one really knows what Microsoft and Google do with all the data stored and transferred.I use pen and paper, I am old-fashioned.The aim is not to maximize the number of contacts, but to have fun.I will long remember the sunsets behind the mountain Monte Cara and stations from Alaska, Hawaii or New Zealand coming through on 12 meters. Or, the pink sky at sunrise and strong Japanese long-path signals on 30 meters. This is true fun, considering a simple wire used as antenna. 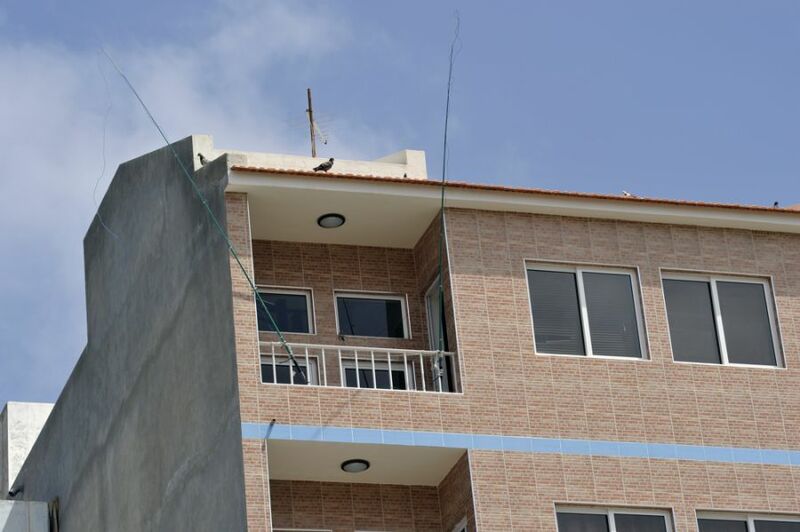 A modern apartment on the last floor of a town house on the outskirt of Mindelo was my QTH. Two fishing rods supported wires of different lengths, later I could throw a longer wire which resonated on 80 meters. Low budget antenna. View from my balcony, Monte Cara at sunset. 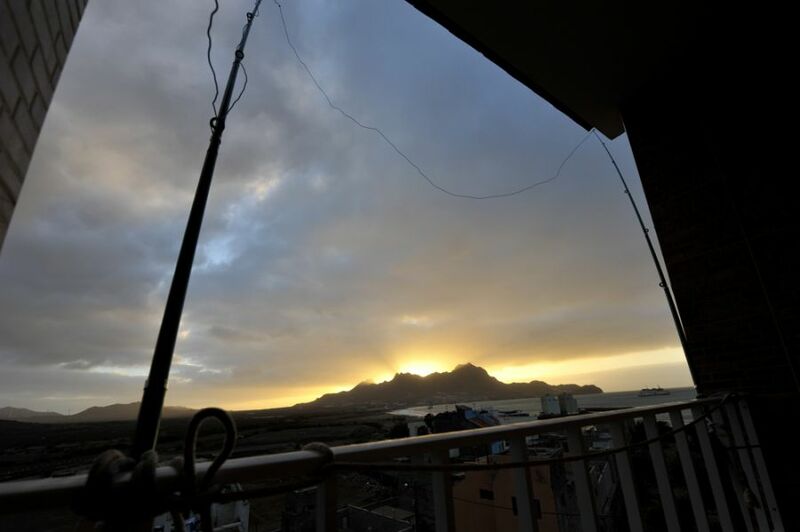 There is more fun in Cape Verde than radio propagation.The climate is just perfect for me. Sao Vicente island is dry and warm. It is never hot because of continuous winds.The people are relaxed and friendly, spontaneous and expressive.It is a poor country, but I believe the people are more happy than those living in consumer societies of the Western Civilization.I’ll be back in CV, you bet! 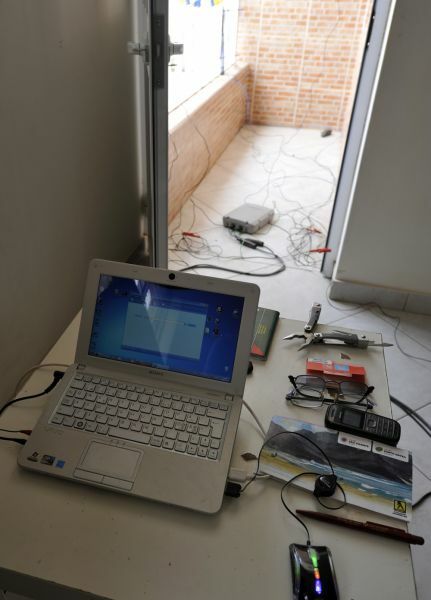 The small computer used for Internet connection was placed close to the window. Both cell phone service and 3G Internet are available and work quite well in Cape Verde. The fishermen in Baia das Gatas – a village on the eastern side of the island. In the background the 750 m high Monte Verde where the D4C station is located. The basic food is of course fish. 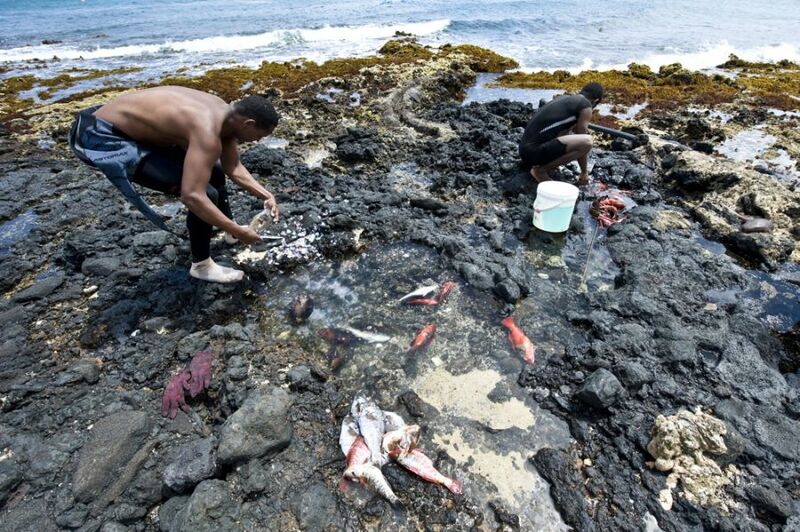 These men dived to catch fish in Calhau, a village on the eastern coast of Soncente (Sao Vincente in local creole language). A street of Mindelo. The house on the right, next to the trees, is the place where Julio, D44BC, lived and had his station until 1999. 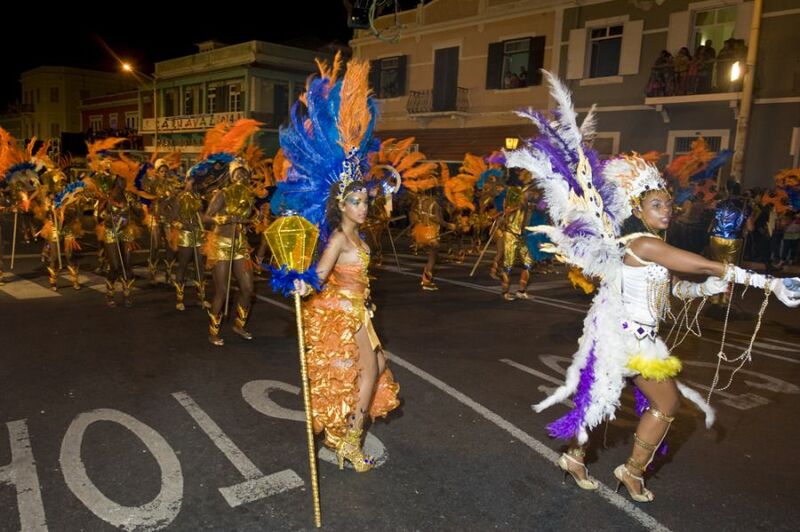 The annual carnival is the highlight of social life and entertainment in Mindelo. March 2014. 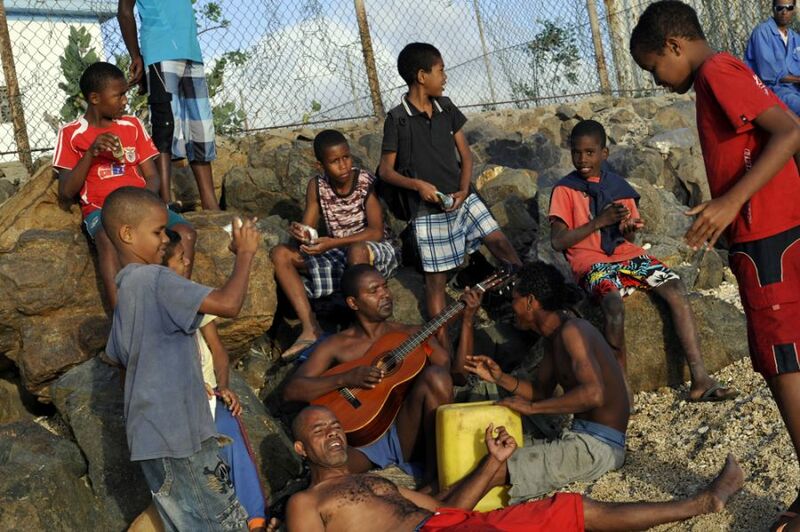 Music in Cape Verde is an essential, like food and drink. Jose, who plays the guitar, works in a travel agency in Mindelo. The beach is very close to my QTH. 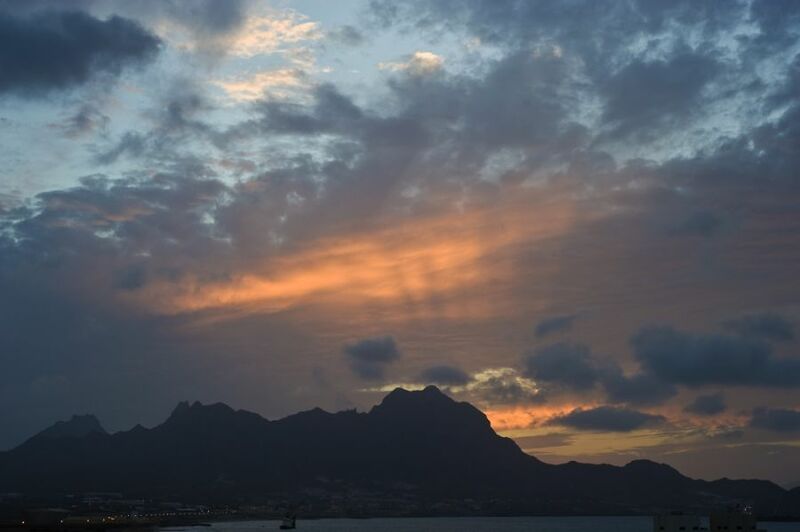 I am going to miss the sunsets from my window in Mindelo. Great story and pictures, many thanks!